Alhamdulilah, the blessed 10 days of Dhul Hijjah are upon us, the days in which the prophet (salallaahu ‘alayhi wa sallam) encouraged us to do righteous deeds. One of the best deeds one can do is to make the Hajj pilgrimage, but for those of us who won’t be able to be the guests of Allah in Makkah, we can still take advantage of these blessed days and earn rewards inshaa Allah. Here are some examples of things we can do in Dhul Hijjah. There are many evidences in the Quran and the Sunnah that support the fact that the first ten days of the month of Dhul-Hijjah are better and more preferred by Allah than any other days of the year, including the last ten days of Ramadaan (although the last ten nights of Ramadaan are better). It is highly recommended for those who are not pilgrims to fast on the day of ’Arafah (9th of Dhul Hijjah) when pilgrims gather at the mount of ’Arafah, praying and supplicating to their Lord. There is no better time than Dhul Hijjah to increase in the dhikr (remembrance) of Allah. It is from the Sunnah to say the Takbeeraat (Allaahu Akbar) From the day of ’Arafah (the 9th of Dhul-Hijjah), up until the ’Asr Prayer on the 13th of Dhul Hijjah. Shaykhul-lslaam Ibn Taymiyyah (rahimahullaah) said, “All praise be to Allaah. The most correct saying concerning the takbeer – that which the majority of the Salaf (Pious Predecessors), and the Scholars from the Companions and Imams were upon – is to begin making the takbeer from Fajr (dawn) on the day of ’Arafah, up until the last day of at-Tashreeq (the thirteenth of Dhul-Hijjah), after every Prayer.” Majmoo’ul-Fataawaa (24/220). However, what seems more correct is not to restrict the takbeeraat to being just after every Prayer, as al-Haafidh Ibn Hajr pointed out in Fathul-Baaree (21/587). The day of an-Nahr (10th of Dhul Hijjah) marks the end of the Hajj pilgrimage and is also known as ’Eidul-Adhaa (the Festivity of Sacrifice) for those who are not pilgrims. It is also the day Ibrahim (alayhis-salaam) sacrificed a ram in place of Ismail (alayhis-salaam) and is considered the most excellent day of the year. The one who is able is obliged to sacrifice (ex: a cow, goat, or sheep) on this day. While this might be a little harder for those of us living in countries where the only times there is a congregational prayer is on Fridays, it is worth mentioning that the reward for praying together in congregation is immense. We should make an extra effort to try meet those around us for the sake of Allah and leave one another for the sake of Allah. Try to make your next meeting with friends a beneficial gathering, where you all benefit one another with the remembrance of Allah. Abu Hurairah and Abu Sa`id Al-Khudri (Radiyallaahu anhuma) reported: The Messenger of Allah (sallallaahu alayhi wa sallam) said, “When a group of people assemble for the remembrance of Allah, the angels surround them (with their wings), (Allah’s) mercy envelops them, Sakinah, or tranquillity descends upon them and Allah makes a mention of them before those who are near Him.” (Muslim). 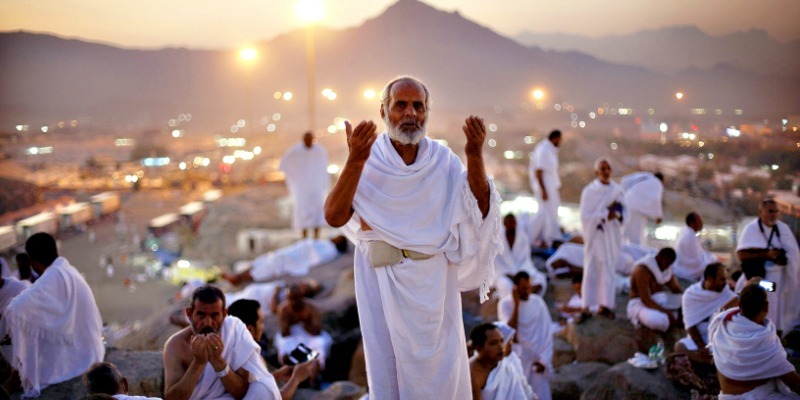 “Whoever is not able to stop at Arafah, then stop at the limits of Allah He has set. Whoever is not able to spend the night at Muzdalifah, let him spend the night in obedience to Allah to come close and attain nearness to Him. Whoever is not able to slaughter at Minaa, then let him slaughter his desires so by it he can reach his objective. May Allah allow us to be of those who take advantage of these blessed days, ameen. Assalamu alaikum, Masha Allah! This was a wonderful article. I am planning to mention many of these points in a girls halaqa program I will be instructing. Jazakillah for the wonderful resources! Wa iyaaki we are glad this is a helpful resource Alhamdulilah, may Allaah make your halaqa a success.